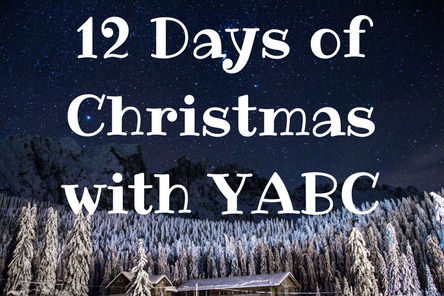 Welcome to YABC's Fourth Annual 12 Days of Christmas Giveaway Extravaganza! We're featuring some of the hottest titles of the year--perfect for the book lover on your holiday list!--with exciting prize packs every day for the first twelve days of December. Each giveaway will run for seven days. Giveaways are US only due to publishers' rights restrictions in other territories. Are you ready to see the FABULOUS prize pack of books for today's giveaway? Candlewick Press, Entangled Publishing, & Spark Point Studio! Check out these amazing books and then enter the giveaway at the bottom of the page. Good luck, and be sure to come back tomorrow for another 12 Days of Christmas giveaway! Enter by clicking the Rafflecopter link below. Good luck! True Storm looks really good. The others look good as well, these would cover the different tastes of my grandchildren. "Bah! Humbug!" looks like fun! The Circus Thief looks like a great read aloud! I'm most excited for Spies, Lies, and Allies.